When it comes to foam party rentals in the Tacoma and Spanaway areas, Inflatable Event Professionals offers several great options. 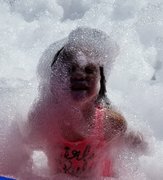 Foam parties are a unique idea that will have everyone at your next Pierce County event talking! Foam party rentals are great for birthdays, summer camps, schools, church socials, fundraisers, corporate events, college events, teen parties and block parties! 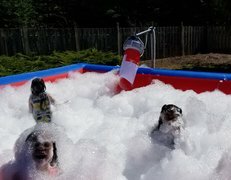 Foam parties are perfect for EVERYBODY! It’s just like taking the ultimate bubble bath without water. Our pit fills with foam in minutes. It’s a wonderful alternative to traditional summer pool parties. This is a great way to take your event to the next level. Mix an inflatable bounce house, concessions machines, music and foam bubbles together to create the perfect event and lasting memories.